It appears that Texas will not ask the U.S. Supreme Court to take up a case against the state's restrictions on language interpreters at the ballot box, letting a lower court ruling stand. At issue in the case was an obscure provision of the Texas Election Code that required interpreters helping someone cast a ballot to be registered to vote in the same county in which they are providing help. The Texas attorney general’s office, which is representing the state in court, for weeks has been unable to confirm whether its lawyers are appealing the ruling or letting the lower court ruling stand. “At this time, we cannot confirm or deny any filings sent to the Supreme Court,” Kayleigh Lovvorn, a spokeswoman for the AG's office, said last week. Instead, she pointed the Tribune to a link to the 5th Circuit’s August ruling on a free, online courts database. But two weeks past a deadline to appeal to the U.S. Supreme Court, the clerk's office for the high court has not received a filing for the case. A clerk for the 5th Circuit confirmed the case is closed at the appellate court, and no recent filings appear on the case's docket at the lower district court where the case originated. Texas had unsuccessfully argued that the requirement was constitutional and meant to be “supplemental” to the VRA. But the state was repeatedly scolded by federal courts after the Asian American Legal Defense and Education Fund sued over the voting law on behalf of the Greater Houston chapter of the Organization of Chinese Americans and the late Mallika Das, a Williamson County resident who was unable to get help from her son to cast her ballot in 2014. Das, a U.S. citizen born in India who spoke Bengali, had brought her son Saurabh to help her vote because her limited English proficiency had made it difficult in the past. But Das and her son ran into the complexities behind Texas’ election requirements for language-minority voters when Saurabh told poll workers he intended to interpret the ballot for his mother. The interpreter, unlike an assistor, must be registered to vote in the same county. Election officials determined Saurabh didn’t meet the state’s voter registration requirements because he was registered to vote in neighboring Travis County. Had he told poll workers he was “assisting” his mother — and not that the assistance involved interpreting the ballot for her — he would have been able to go into the voting booth with her. The interpreter voting law has been on hold since last year, when U.S. District Judge Robert Pitman scolded the state for “arbitrarily” restricting voters with limited English proficiency. The 5th Circuit judges agreed with that judge’s ruling, but they sided with the state in determining that Pitman’s injunction on the law was too broad and ordered Pitman to take the case back up and reconsider the language he used in blocking the interpreter law. The final resolution of the case could benefit thousands of Texas voters. Millions of Texas households speak languages other than English. 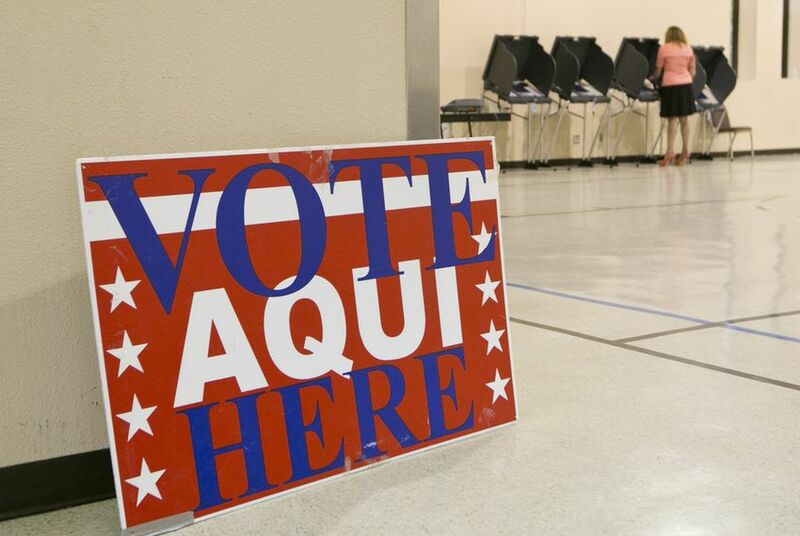 Most of them speak Spanish, and election administrators in Texas are already required to provide electoral materials in Spanish. But very few Texas counties are required to provide assistance in languages other than Spanish. Almost 26 percent of Texas households that speak languages originating in Asia or the Pacific Islands are considered limited English-speaking households, according to census estimates. The voting rights loss for the state comes as the state continues to fend off legal challenges on several fronts. State lawyers are headed to the 5th Circuit next week to defend its embattled voter ID law. The state is also awaiting the U.S. Supreme Court's decision on whether it will take up Texas appeals of lower court rulings that invalidated the state’s political maps.